Along with the popularity of backyard trampolines comes the questions concerning landscaping. Considerations include base materials, surrounding trees and whether the trampoline will be out in the open or hidden from public view. If the trampoline is set in the ground, other landscaping issues need to be considered. Backyard trampolines require certain landscaping designs for safety and aesthetics. Make sure the area is level. Whether installing a trampoline above or below ground, make sure the area is level. Tipping can be a real concern and danger should the ground slope even a small bit. Make sure all legs of the trampoline sit level without rocking. The surface can be reduced by digging or built up with compacted fill. Bark mulch, wood chips or sand help absorb impacts in case of falls. If planning to install a trampoline above ground on grass, be aware that grass is difficult to grow beneath the trampoline. To keep from having an unattractive muddy area, consider applying an organic base beneath and around the trampoline. 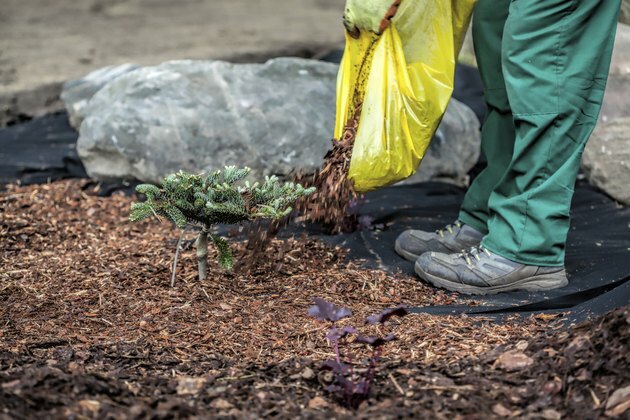 Bark mulch, wood chips or sand are an option, which also helps absorb impacts in case of falls. Dig a trench six feet out from the structure all the way around the perimeter of your trampoline and layer with 10 to 12 feet depth of material . Install lawn edging to help keep the material in. Trim any trees that hang over or near to the trampoline. Trim any trees that hang over or near to the trampoline. Limbs pose a danger in multiple ways; if low enough a bouncer could strike their head, tree limbs can fall, and sticks and debris can fall on the trampoline surface, causing injury. 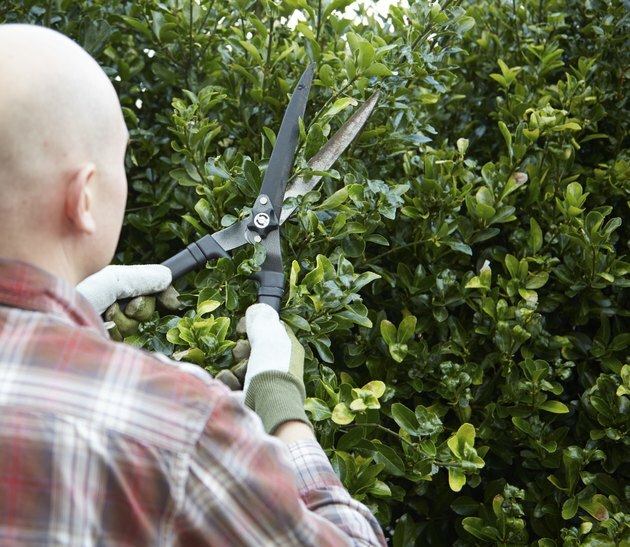 If considering planting trees nearby, keep them at a safe distance, avoid fruit or nut bearing trees. Install any fencing at a safe distance. 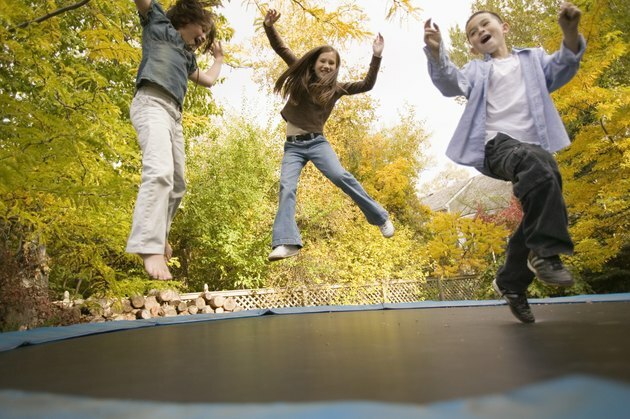 Create an area around the trampoline that signifies recreation. Tie various recreation equipment, such as a swing set, swimming pool, hot tub to the next with informal pathways using crushed stone or mulching. Each pathway can culminate in activity areas. Border the pathways with lawn edging or use cobblestone or pavers to line the path to keep the ground cover material in place. Stepping stones can also be incorporated into the path areas. Wooden or stone benches are an attractive and practical touch. Separate the recreation from other areas of the yard or from view of neighbors. 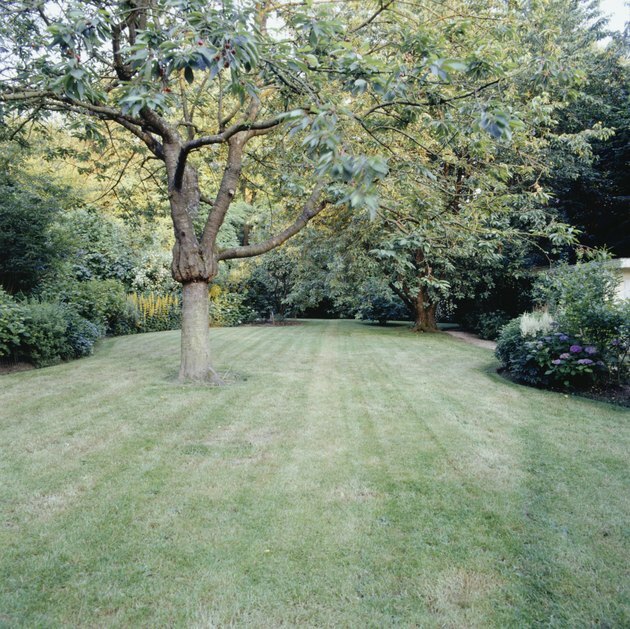 Separate the recreation from other areas of the yard or from view of neighbors. Plant privet hedges around the play area, offering wind buffer, creating privacy and helping muffle sounds that might disturb neighbors. Hedges can be trimmed to any height and for a bit of whimsy, they can also be shaped into animal figures or other designs. 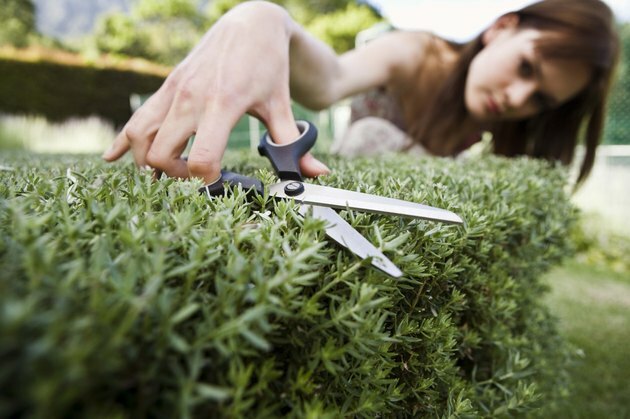 If you want to keep the line of sight open— to supervise from afar—consider planting English boxwoods, which can be trimmed low to the ground. Add some color with perennial plantings such as long blooming day lilies or Veronica.